Choice of caravans and lodges. Private bay with a sandy beach. 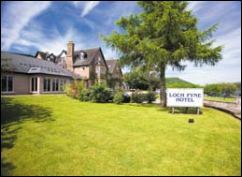 Situated on the west side of Loch Lomond at Inveruglas. lounge with TV/pool tables, launderette, shop & boat hire. 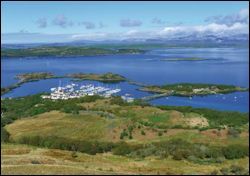 Ideal base for fishing, watersports, hill walking, touring. Lodges from £250 per week. 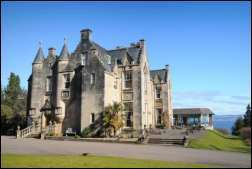 5 star Clan Lodge with kingsize 4-poster bed & ensuite shower. 1 twin bedroom & bathroom with sauna and whirlpool bath. Kitchen. Lounge and dining area with balcony. Sleeps 4.
plus sauna, whirlpool bath and separate shower. Kitchen. Lounge and dining area with balcony. Also luxury lodges sleeping 6 or 8. 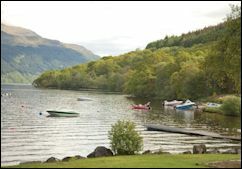 Members in Argyll include Loch Lomond and Helensburgh. 16th century castle with secret passages and a dungeon. Historic home of the Campbells of Barcaldine. magnificent views up the loch to Glencoe. 9 miles north of Oban off the main road to Fort William. Scottish Tourist Board 4 Star Guest House Gold. Laird's parlour sitting room with open fire. Breakfast is served in the main hall. Large private garden with wonderful views. 1 standard twin bedroom with en-suite shower room. mini hospitality hamper, mineral water, tea/coffee, etc. 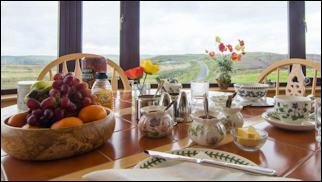 B&B prices from £100 per person per night. Rent a castle - ask about 'exclusive use' prices (all 6 rooms). Scotland Made Easy can plan a customised itinerary for a self-drive tour to suit your interests, budget and time available. 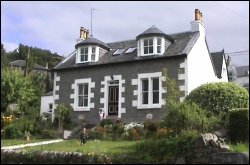 They will book you into recommended accommodation where you are assured of quality, comfort and hospitality - usually in 4 or 5 star B&Bs in Scottish homes. Optional 'specials' include a night in a castle, church, lighthouse, country mansion, etc. Whether you have already decided which places you want to visit or if you haven't a clue where to start, Scotland Made Easy will advise and take care of all the planning for you.